This classic book was first published in book form in 1941, and none of its powerful symbolism has been lost over time. 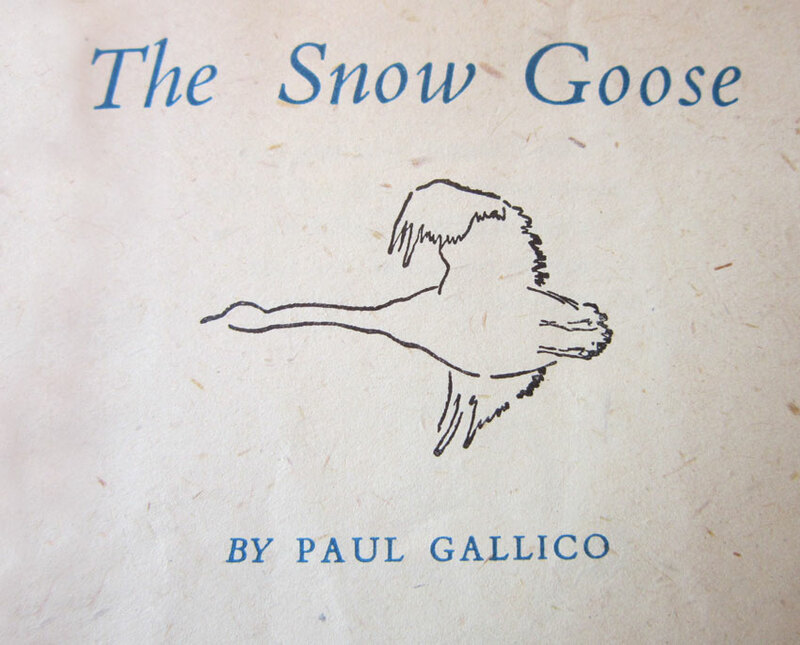 It's a simple tale of an artist who, tired of the world and his disabilities, has retreated to a solitary life in the wild marshes of Essex. He paints the landscapes and the migrating birds there and feels very much at home. His life changes when a local girl appears with an injured bird, wounded by gunshot from nearby hunters. 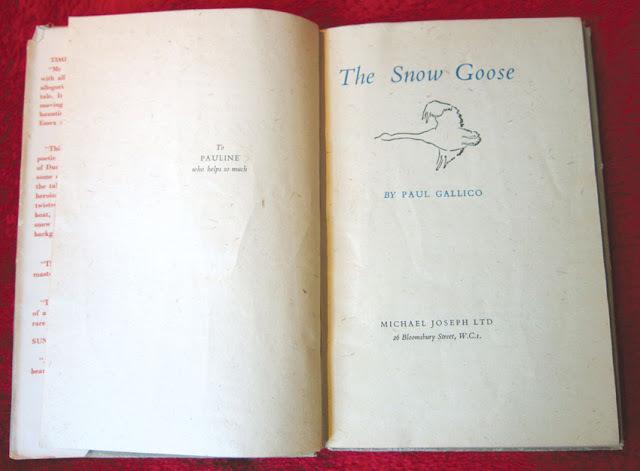 The snow goose becomes part of both their lives and so starts a heartbreaking but beautiful story. 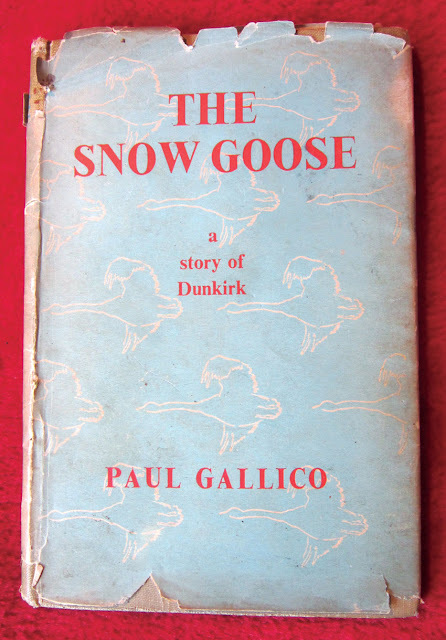 At only 64 pages, the book is a very short read, but is absolutely packed with emotion. 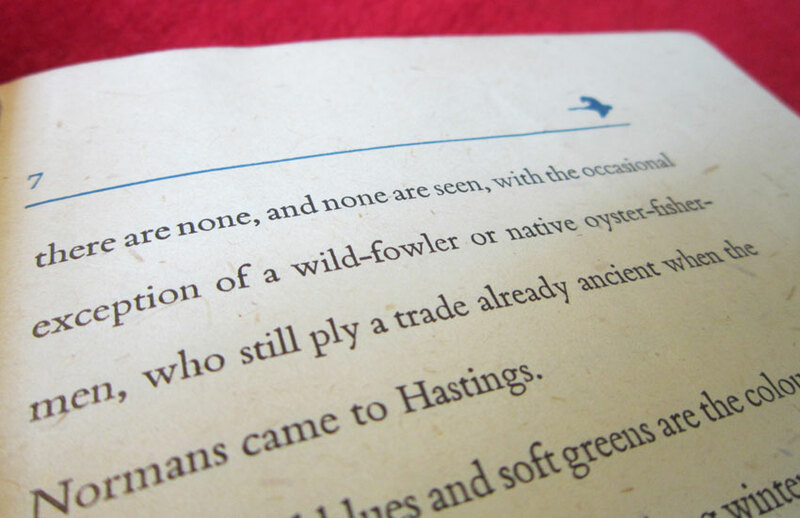 It also effortlessly captures the dramatic and unique landscapes of that particular part of Essex's coastline, using the minimum of words. 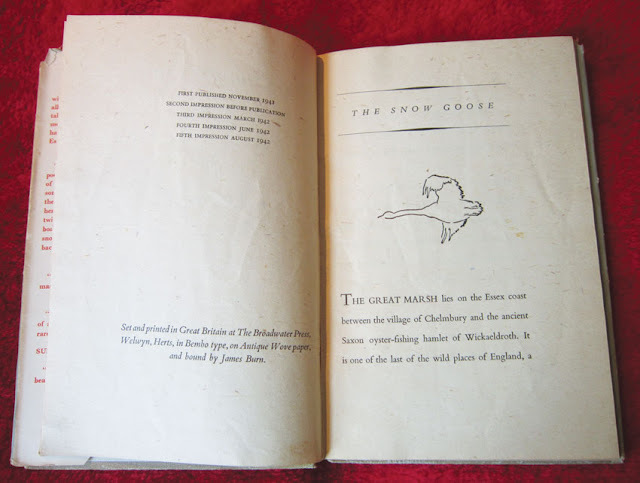 I've read that the inspiration for the location and nearby village was Bradwell, and knowing it very well, I can easily picture the sounds and feel of the fictional Chelmbury and Wickaeldroth spoken about in the book. It was written in the aftermath of Dunkirk in 1940, and so the messages of friendship and the symbolism of the snow goose were especially poignant. It also hints at an England that was being lost forever. The timeless trades of the people who worked the waters in the area were fading away, and also the local dialects that were in their last throes. 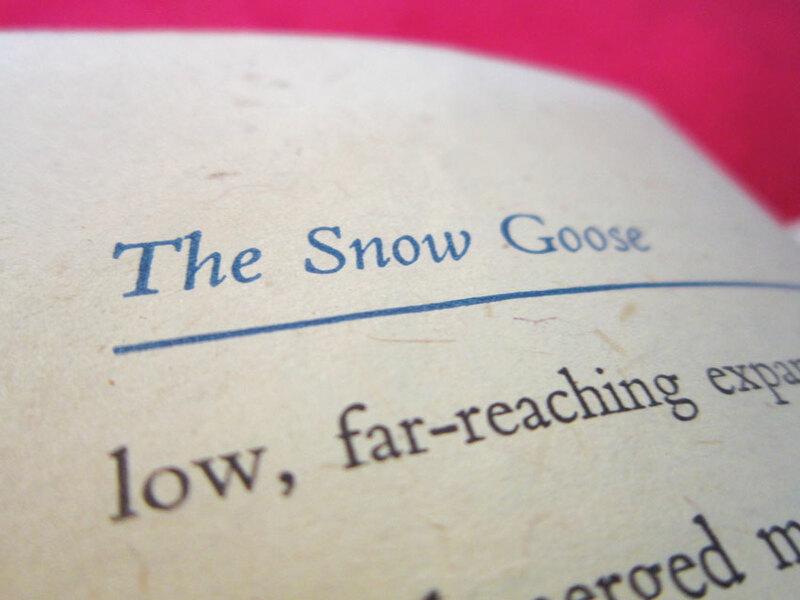 Taking a look at my own copy, and despite its battered dust jacket, is a design triumph! The subtle line-drawing of the goose on the opening title page is gorgeous, as is the subtle use of blue colour type for the title and author. The blue is continued throughout the book, with the headers at the top of the page, that have another brilliant little touch, the blue silhouette of the goose. 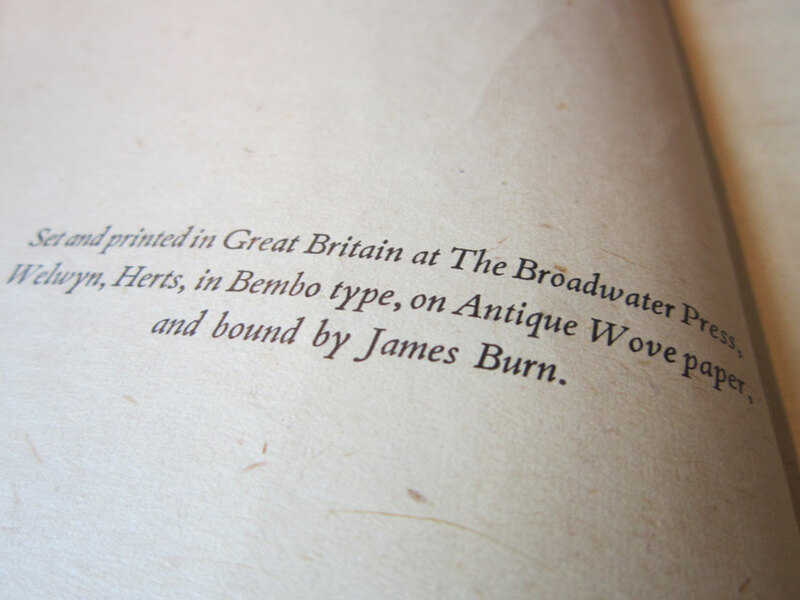 It was printed on Antique Wove paper, and has a lovely grainy texture. 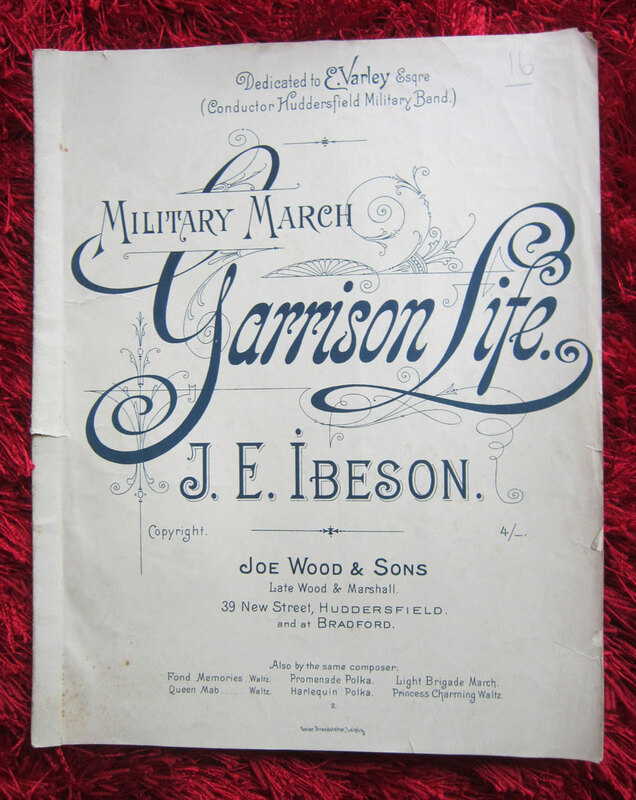 All this is quite something, when you consider my copy was printed in 1942, when paper shortages and restrictions on usage were in force. Another little detail is an intriguing inscription that has been written inside. 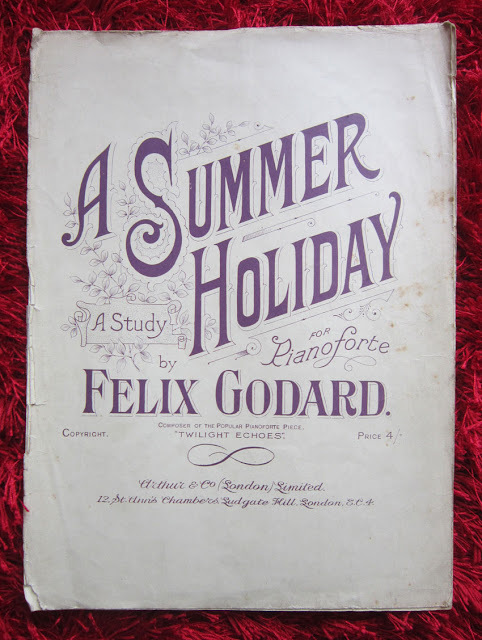 A small recompense for my airgraph omission! 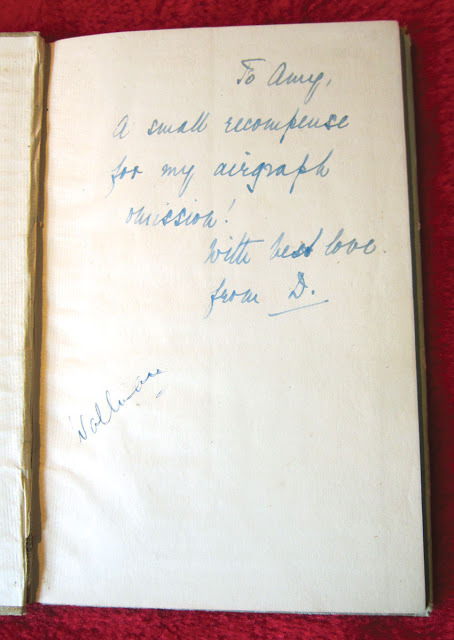 An 'airgraph' was a extraordinary invention. Also known as a V-Mail (Victory Mail), it was basically a way of saving money on sending letters overseas through the military postal system during the last war. The ingenious method involved writing your message on a form, which would be photographed and stored on microfilm then sent abroad by plane. Once it got to its destination, the message would be printed onto photographic paper, for the recipient to read. WOW!!! So I wonder what 'D' had forgotten to write on their airgraph message to Amy??! 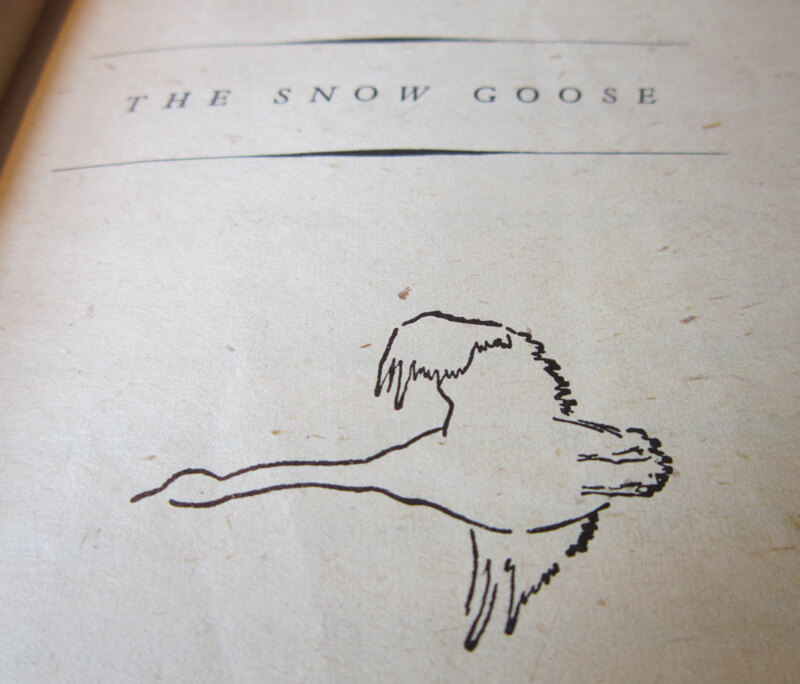 And I hope she enjoyed reading her copy of The Snow Goose! 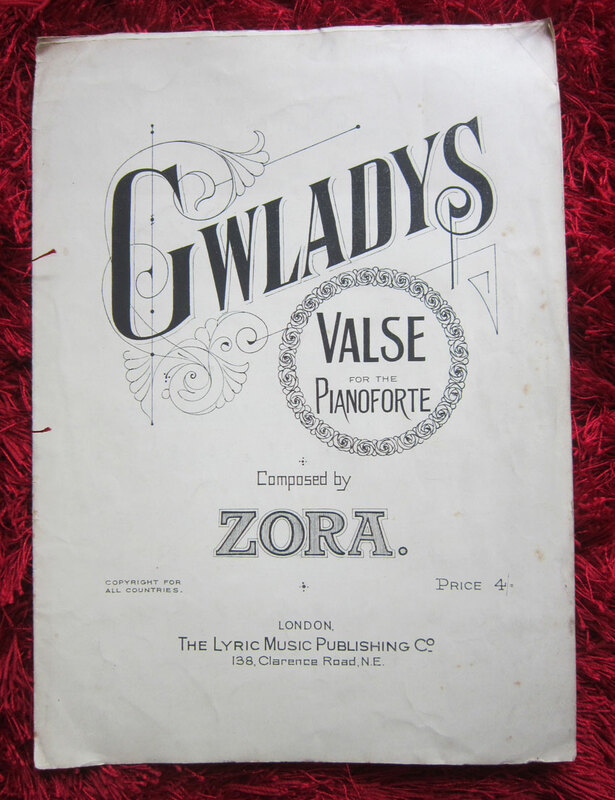 Recently I rescued a forlorn looking pile of sheet music, unceremoniously dumped in a plastic bag at a boot fair. In amongst the huge stash were some lovely examples of late Victorian and early Edwardian sheets. 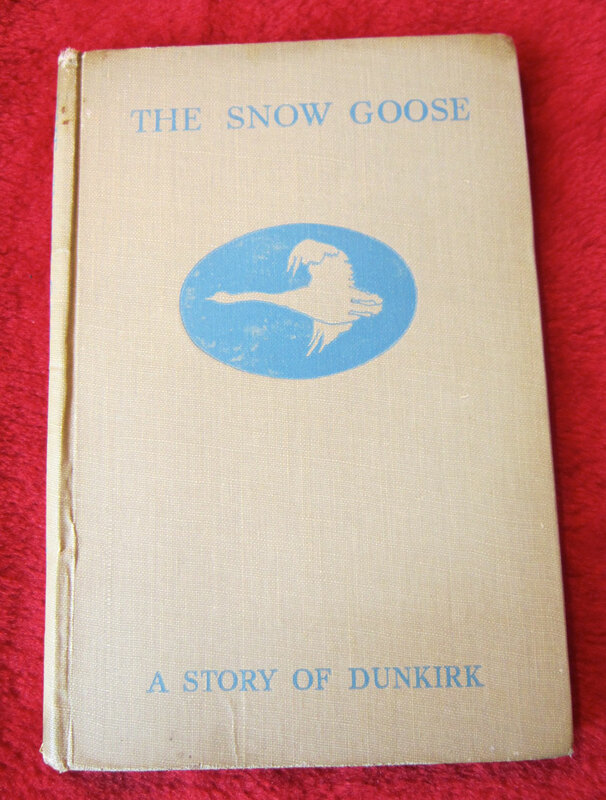 They get a bit left behind by collectors, due to the later ones having exquisite colour illustrations and photographs, especially in the 1930s. But to anyone who loves typography, these are absolute gems! 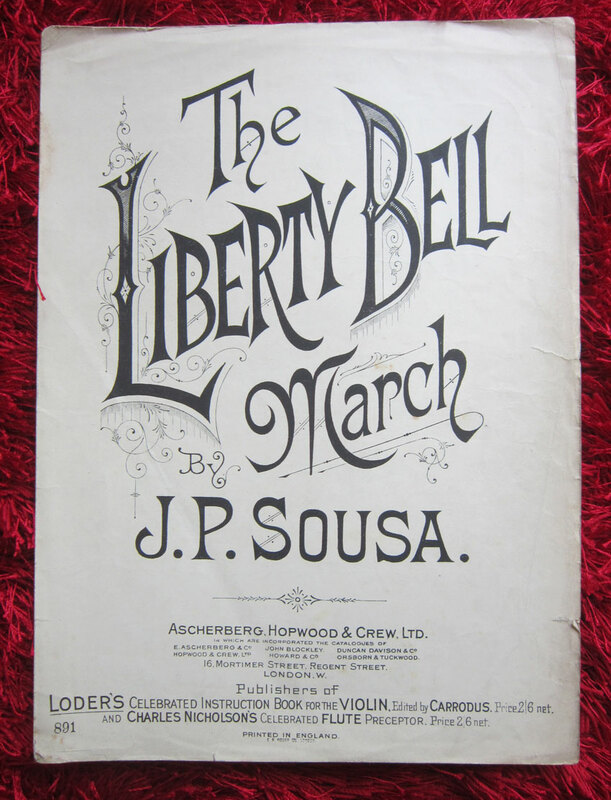 They all have beautifully crafted and bold lettering, that just screams late 19th Century and early 20th Century style. 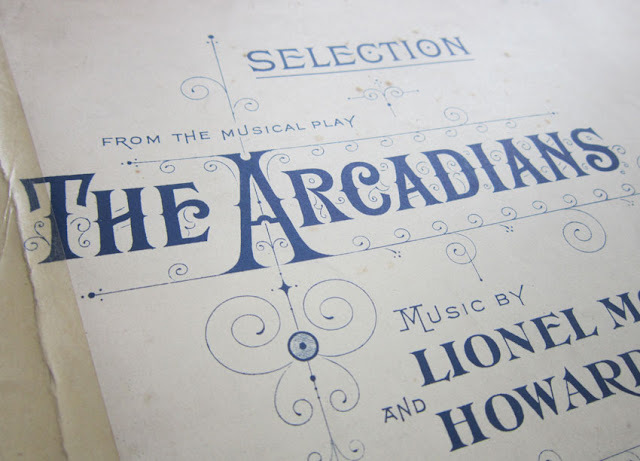 Gorgeous typography on The Arcadians from 1909. 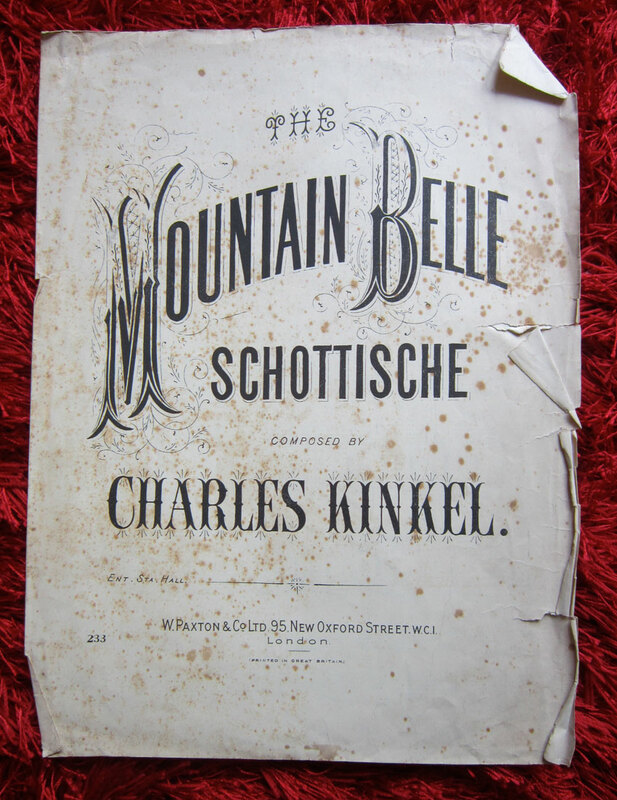 The collection seems to have belonged to the same person, as most have the name E. Raike scribbled in the top right hand corner. 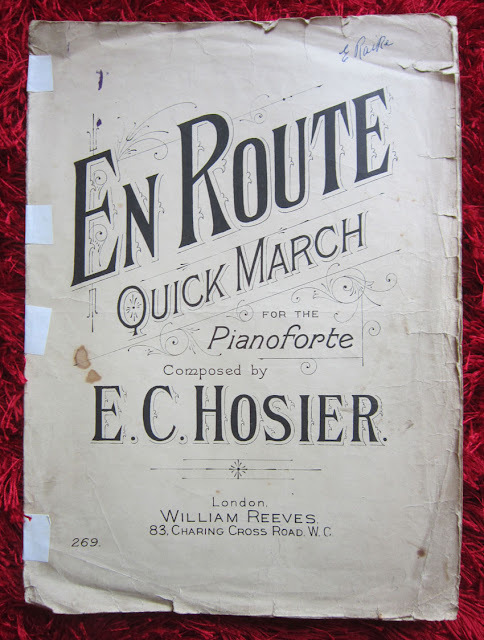 It's lovely to think this person trooped around, who knows where, clutching these music sheets and playing in a concert hall, a village hall or someone's house. 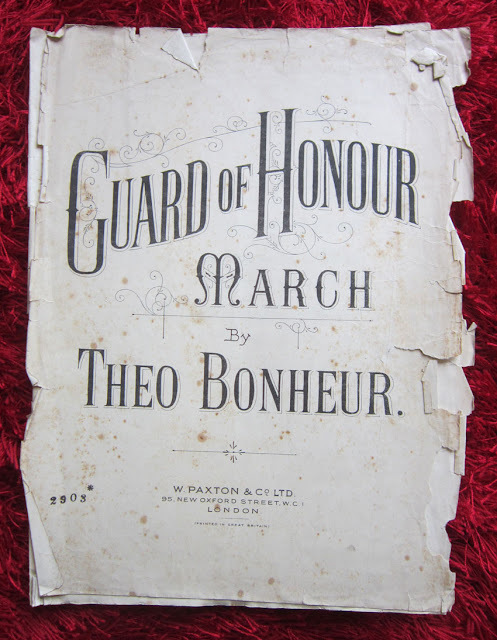 They were obviously well-used and well-loved as they have thumb prints in the corners, through continually turning the pages, and one has been sewn back together! 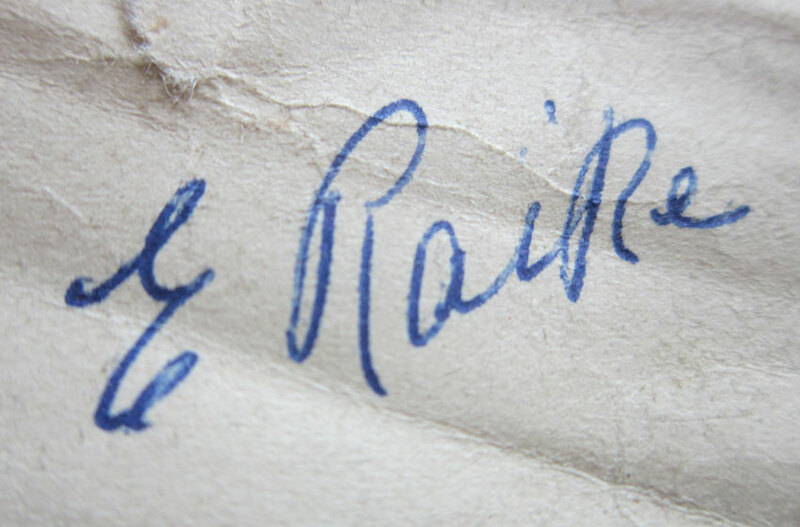 The mysterious E. Raike, who seems to have been a prolific player! 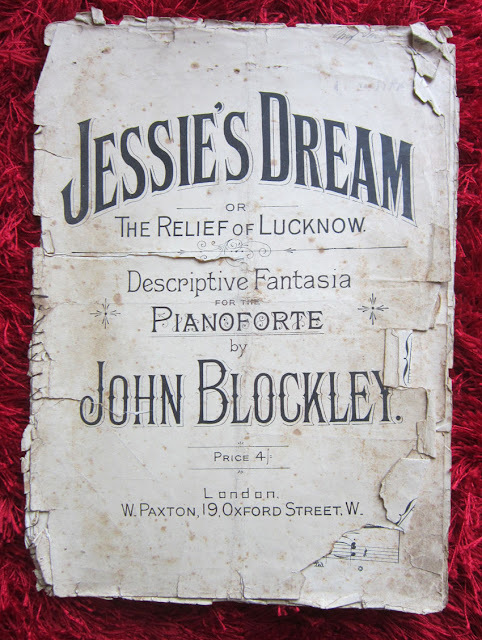 Jessie's Dream has certainly had an eventful life! 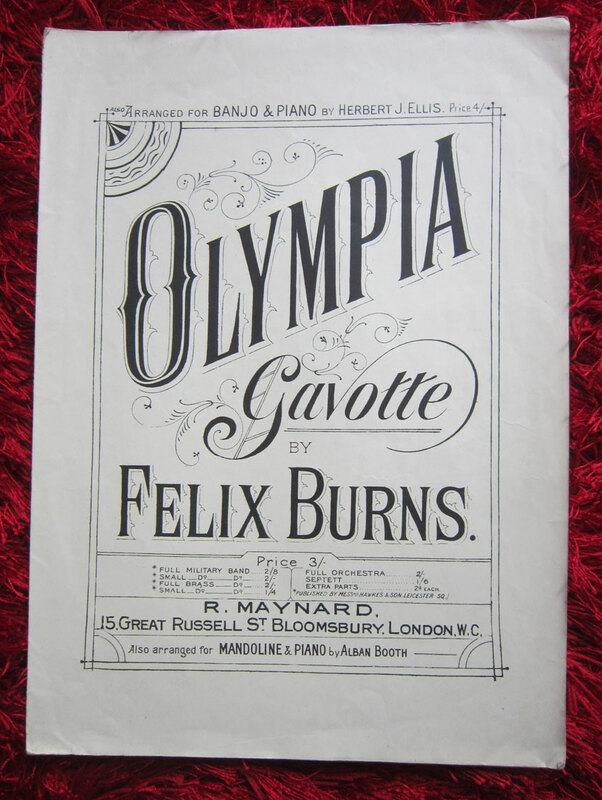 It's the oldest in the collection and dates to around 1888. Love the way it has been stitched back together. 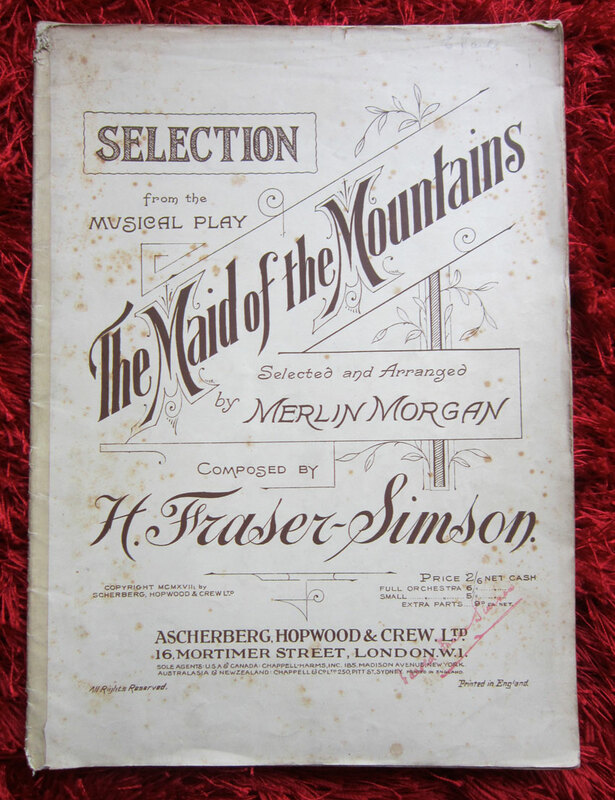 1917's The Maid of the Mountains. The designer had fun on the typography here! 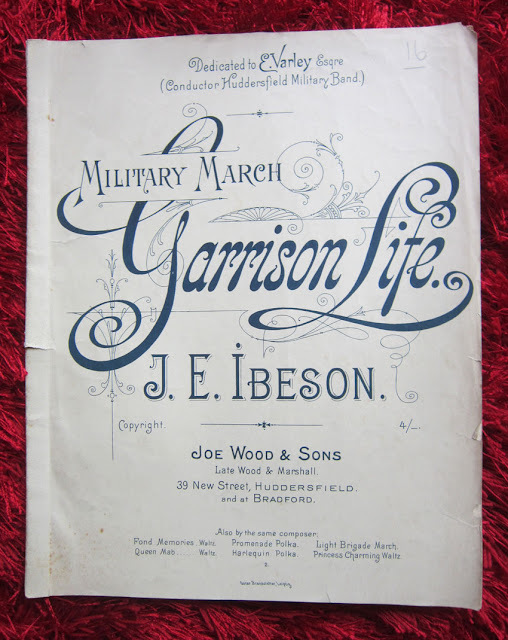 Nice border designs, looking a bit Art Deco, although it dates from much earlier. 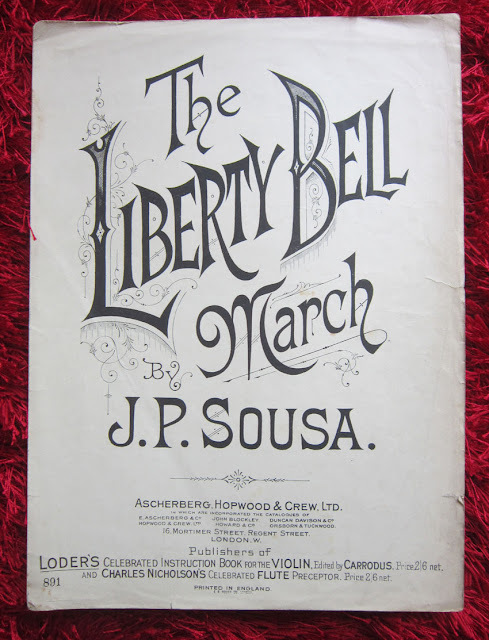 The Liberty Bell March from 1893. A rare splash of colour on this one! Dates from 1901. 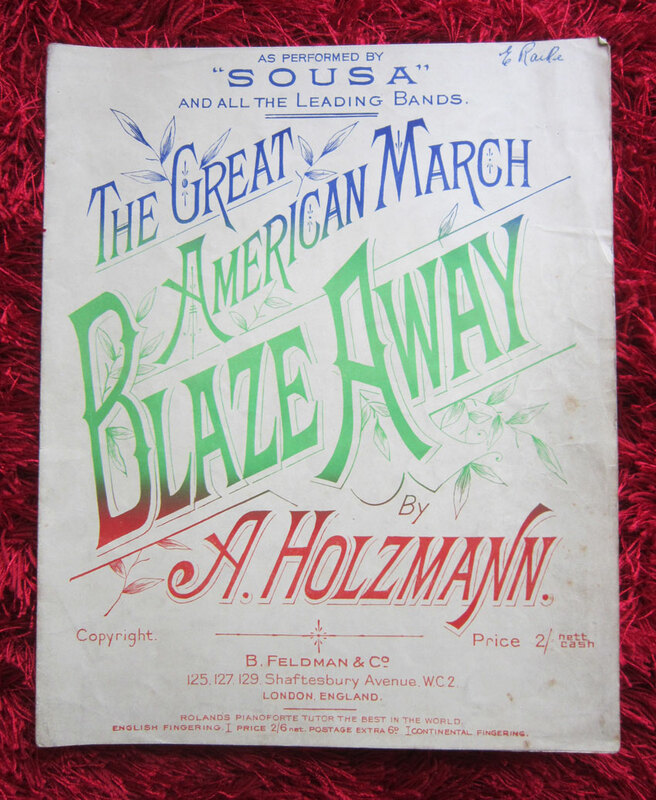 Subtle but effective lettering on this bashed music sheet. Lovely purple tint and flower designs on this 1890s A Summer Holiday. 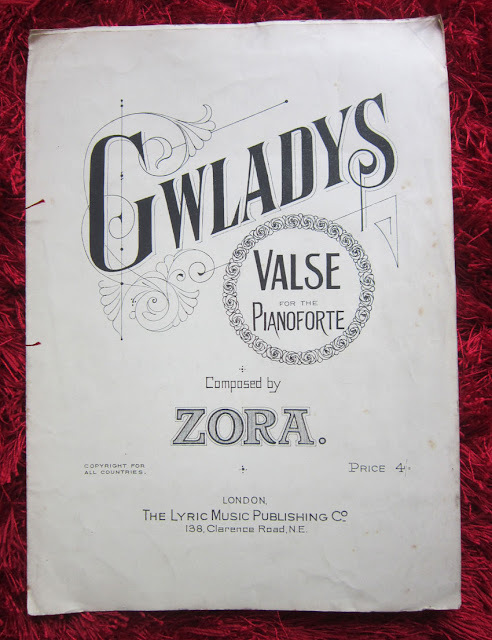 Love the intricate motifs around the G.
1902's Down the Vale song is a bit bashed, but you can still see the different fonts used to great effect. Complicated 1890s type for the wonderfully named Charles Kinkel. I've noticed that the biggest seller in my unit at The Customs House in West Bay is all things retro TOTTENHAM HOTSPUR! Frames, cards and fridge magnets all bearing my collages of the north London club are selling like hot cakes!! 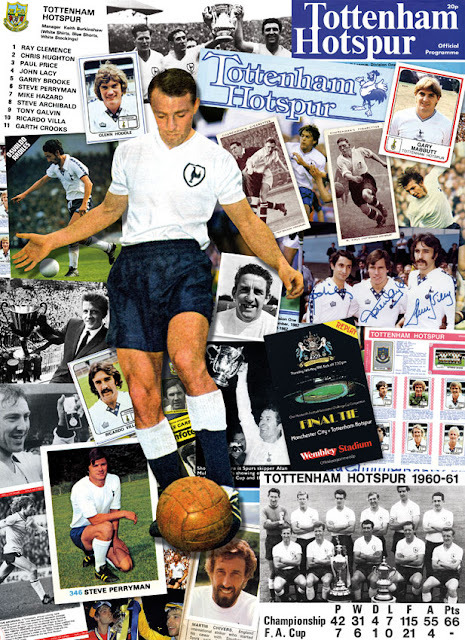 My super Spurs collage, which features tonnes of Tottenham treats! 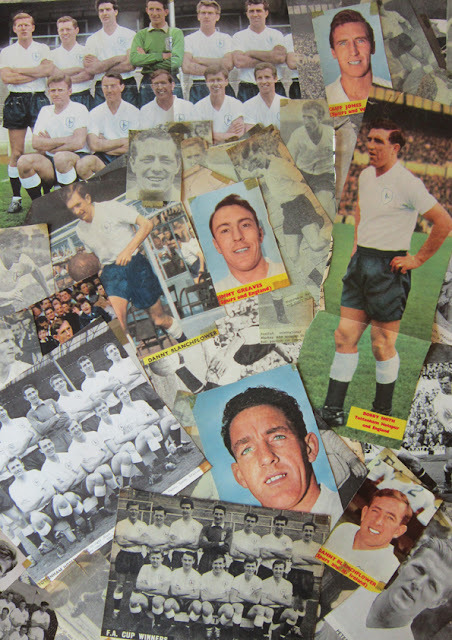 Which is great news for me of course, as I have a fantastic stash of vintage Spurs programmes in the ArtPix Archives all waiting to be displayed in the unit! 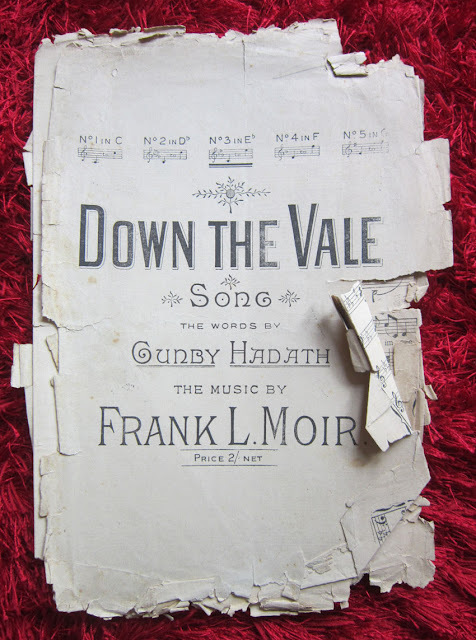 I also have a very rare collection of Tottenham press and magazine cuttings from the early 1960s which I've been meaning to do something with for ages. I've already done a collage of a small part of the collection, but I wanted to produce a scrapbook of it all as there are some fascinating pictures in amongst it. Small part of my fantastic collection of 1960s cuttings. Another popular Spurs item I sell is a card of the legendary Jimmy Greaves. I'm very proud to say that at a fair a few years ago, I sold one of these cards to one of his daughters, who told me she was going to give the card to Jimmy later that day, WOW!!! 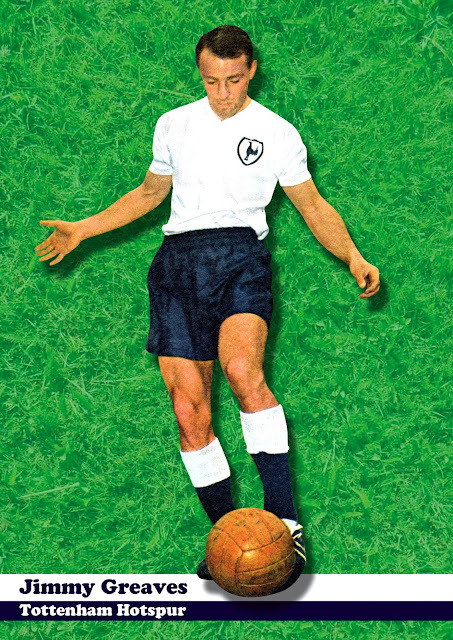 Total Tottenham legend: Jimmy Greaves! So all Tottenham fans, keep an eye out here to know when I have some new super Spurs items in my unit in West Bay! DASH TO DORSET AND DEVON! Off tomorrow for a mad weekend in the south west! 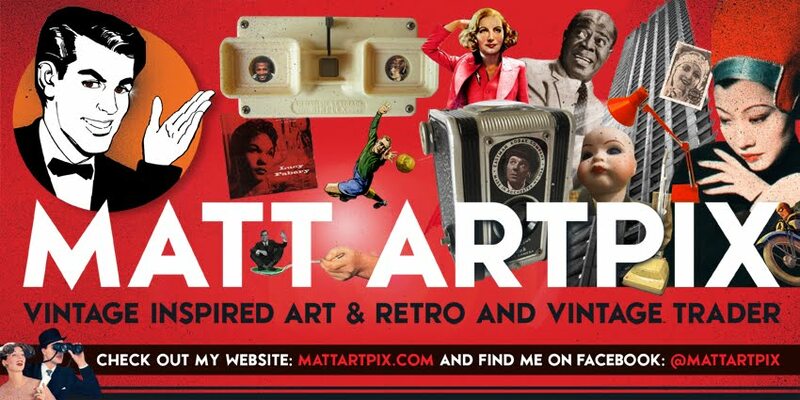 Will be plonking some new stock in my unit at the Customs House in West Bay. After a quiet time there over the winter, things are really picking up again. So I'll be doing a new stock check and adding bits and pieces in there. Then I'll be off to Ilfracombe for a visit to some of the ArtPix clan up there. Still have big plans for the summer, so I'll be keeping you in touch with all the latest info! 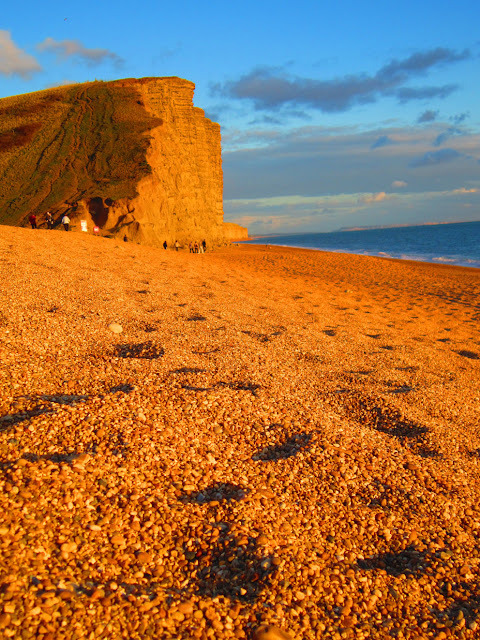 I'll be back at the wonderful West Bay tomorrow! !